Some snaps from my garden an evening in July. 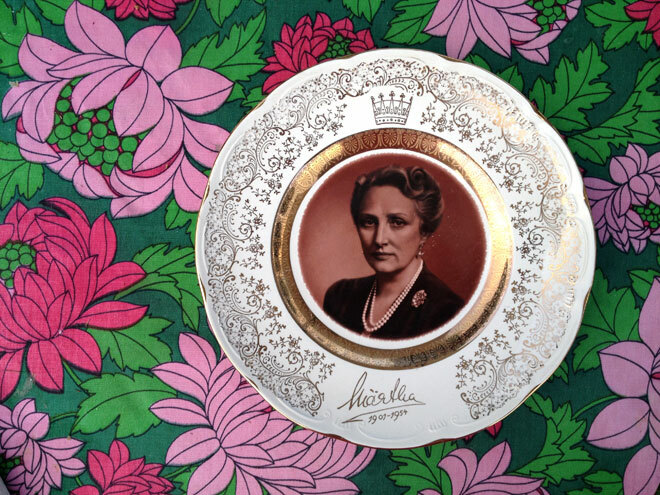 Märtha- my latest thrifted plate addition. The tomato plant is getting huge but no tomatoes to see. Barbie keeps on loosing her leg. BTW thinking about Barbie have you seen this brilliant thing? My workwear pants are never far off. Så jäkla fint där gräset växer upp genom mattan! !